Many know the Fulton Theatre as the beautiful, historic home for performing arts that it is today. But throughout its long, surprising history, the Fulton has accrued a myriad of interesting tales, transitions, and has served as the setting of many interesting events in history. Two formerly enslaved women of African descent, living in freedom in Lancaster County, were seized by bounty hunters as runaways. They were held in the prison on a temporary basis, pending transport to Southern states. They were secretly released by an unlikely co-conspirator: the County’s chief law enforcement officer, Sheriff David “Dare-Devil Dave” Miller (1795-1858). This colorful character was a humanitarian and an avid horseman who suppressed race riots against African Americans in Columbia, PA. Miller’s secret release of the women was documented in a 2008 report to the National Underground Railroad Network to Freedom, earning the Fulton Opera House the designation as a site with an authentic connection to the Underground Railroad. On December 28, 1763, the massacre of the Conestoga Indians occurred on this site. On December 14, 1763, about fifty armed colonists from Paxton (near modern Harrisburg) rode into Conestoga. In a dawn attack they burned the homes and murdered the six Indians they found. The Indians who had been away from the village at the time of the attack sought refuge there, where city officials locked them inside, supposedly the most defensible building in town. On December 27, the Paxton Boys returned, broke in and murdered the fourteen Indian men, women, and children. Fulton Hall hosted occasional performance during the Civil War, while the Lancaster Fencibles used the building as an armory, and the home guard drilled there. After the Battle of Gettysburg, it briefly served as a hospital for wounded soldiers. The Fulton Opera House is one of only eight theatres in the United States recognized as a National Historic Landmark. It was recognized in 1969. The first musical concert at Fulton Hall was by violinist Ole Bull and 9-year-old soprano Adelina Patti, to raise money for a settlement of Scandinavians in Potter County. 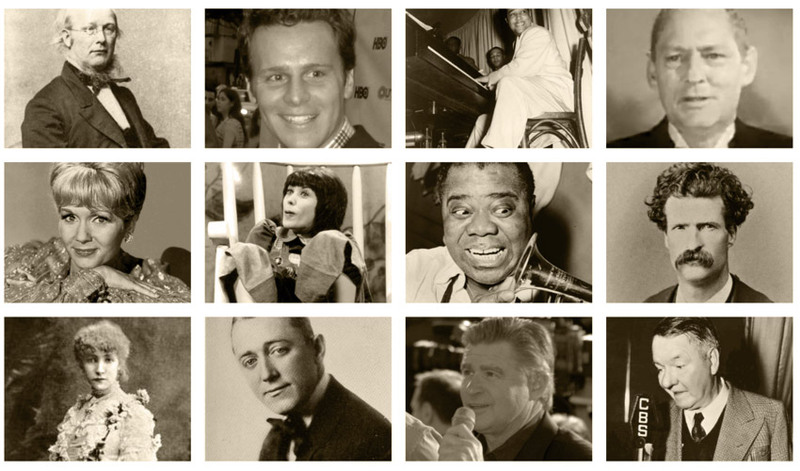 Since its inception, some of the brightest stars of theatre, music and film have appeared on its stage, including Sarah Bernhardt, Mark Twain, Horace Greeley (Famous Newspaper Editor and Presidential Candidate in 1872), Debbie Reynolds, Lily Tomlin, Lionel Barrymore, Duke Ellington, Louis Armstrong, W.C. Fields, George M. Cohan, Treat Williams and Lancaster’s own Jonathan Groff. Theatrical performances included Harriet Beecher Stowe’s Uncle Tom’s Cabin and Buffalo Bill’s Wild West Show. Robert Fulton became one of Lancaster’s famous citizens for his successful commercialization of the steamboat. Fulton successfully developed and marketed the steamboat, and profited off original ideas of inventor John Fitch. Robert Fulton passed years before the Fulton Hall was built. (November 14, 1765 – February 24, 1815). The wooden statue of Robert Fulton, that originally adorned the front of the building, is restored and displayed in the lobby. The exterior statue is a replica of the original. This statue was carved from a solid piece of wood (except for the head) by Philadelphia Sculptor Hugh Cannon in 1854. The statue used to sit outside in the second floor niche above the marquee, and was brought inside in the 1980’s to preserve it from the environment (weather, pollution, birds). Winterthur Museum restored this original, and created a fiberglass replica casting that sits in the original location outside above the marquee. The Fulton Properties Manager Katelin Walsko adorns Robert with props or costume pieces to reflect the current production. Several actors and stagehands reported seeing a woman in a white dress hovering around the bottom of an old, wooden spiral staircase or at the top of them stage right. A stagehand from Gettysburg, PA, saw her and asked what her name was. She said “Marie.” Researchers discovered that an actress named Marie Cahill had performed many times at the Fulton. She was born when the Fulton Hall became the Fulton Opera House, and died when the theater started showing movies. Perhaps Marie is still waiting for her big break. A carpenter working in a stairwell that had been closed off for many years suddenly ran screaming from the theatre and onto Prince Street. When asked what was wrong, he said that a man in a light colored suit, wearing brown shoes and a straw hat walked up to him and asked for a cigarette – then he just disappeared right before his eyes. He refused to return to the theatre to finish working on the renovation. Other theatre employees have since reported sightings of the specter, and some actors claim that strange whistling and clapping coming from backstage caused them to miss a line. Prior to the 1905 renovation, the gallery was closed to the public because of building codes. Movie projector and follow-spot operators were only permitted in the area. A Millersville University professor was running the spotlights for a show when she noticed an older gentleman sitting in the benches. At intermission she asked if the gentleman was given permission to sit up there. The gentleman only pointed out the young actress in the first act and cited her as his granddaughter that he had come to see. After the show ended, the older gentleman was gone. The spot operator went backstage and ran into the actress. The operator said she had seen her grandfather and hoped he enjoyed the show. The girl responded, “Both my grandfathers are dead.” The actress also said her grandfathers had never seen her perform. The spot operator replied, “Maybe one has now.” And left it at that.